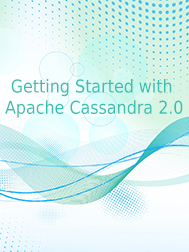 Apache CassandraTM is a massively scalable open source NoSQL database. Cassandra is perfect for managing large amounts of structured, semi-structured, and unstructured data across multiple data centers and the cloud. Cassandra delivers continuous availability, linear scalability, and operational simplicity across many commodity servers with no single point of failure, along with a powerful dynamic data model designed for maximum flexibility and fast response times.